Due to the changes that Volvo has added in this year's model of the XC60, there are new features and much more enhanced trim overall. Both this Volvo's horsepower and safety features are improved for this model year of the Volvo XC60. 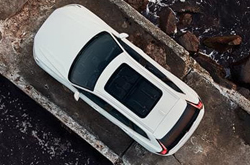 The XC60 has a panoramic roof that can move and is flexible. There are also seats that have power features that makes it easier to move around. There are LED headlights, 2-zone climate system, Cleanzone air purification system, a folding second row rear seat, and heated seats throughout the vehicle. 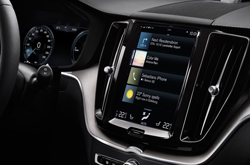 The XC60 has power tailgating in addition to a touchscreen that features a 9-inch display. Enhanced audio is also available in this version of the car with the Bowers and Wilkens Sound System. 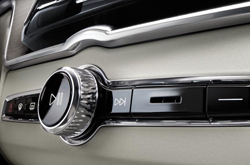 There are several new features that set this Volvo car apart from the rest. There are three available trim options for the 2018 Volvo XC60: the Momentum, R-Design and Inscription. The Momentum trim features LED headlights, a 9-inch touchscreen infotainment hub and a luxurious leather interior. The sporty R-Design trim includes sculpted leather contour seats, Sensus Navigation, a 12.3-inch Digital Driver Display and an advanced sport chassis to improve handling on the road. Lastly, the Inscription trim features a 4-Zone electronic Climate System, keyless entry, a tailored instrument panel and ergonomically designed passenger seats. All models of the Volvo XC60 features an all-wheel drive, turbocharged 2.0L 4-cylinder engine that can produce 250 horsepower. They can also get 22 mph in the city and 28 mph on the highway. The Volvo XC60 has been named one of the safest vehicles of the year according to the IIHS. Several new features make the Volvo an incredibly safe ride. A Blind Spot Information System makes it easier for drivers to sense danger when there is motion or physical objects present in their blind spots. A 360-degree camera also improves the ways that people can view activity around the car. There are high resolution images that can be retrieved for all angles of the Volvo so you do not have to worry about motion or activity that may be going on outside of the Volvo XC60. 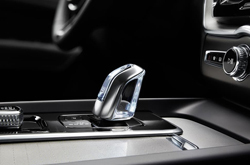 Volvo's suite of advanced safety features also includes active bending lights, driver and passenger airbags, automatic post-collision braking, City Safety collision avoidance technology, Distance and Driver alert Control and many more safety features that are designed to keep you and your passengers safe while on the road. There are several key benefits to the XC60 because it has built on the powerful formula that Volvo has used for years. 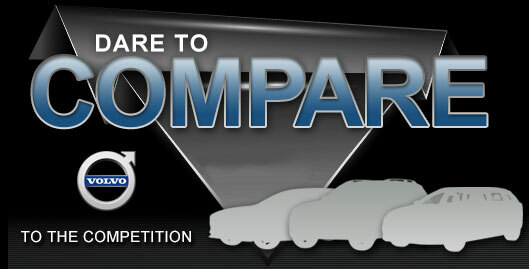 High safety ratings as well as unique luxury features make this the best choice for luxurious, safe SUV for you and your family.